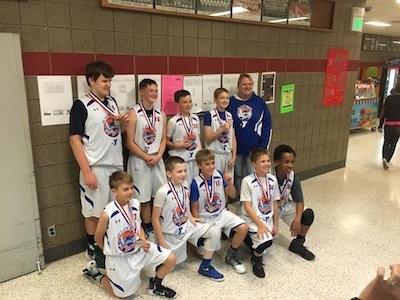 Wisconsin City Hoops is certified through AAU, and City Hoops teams play in tournaments on the weekends against teams from 100+ other programs. In every part of the country, there is an AAU youth tournament circuit where teams from various programs compete. The bottom line is all AAU programs work off the same tournaments: local, regional and national. We have access to the same tournaments as other clubs, so don’t be fooled into thinking you have to join “this club” or “that club” to get into the best tournaments. Many AAU basketball leagues and programs do not focus on skill development, and many only practice once a week (sometimes not even that), then play in weekend tournaments. That robs players of time they can spend with a great coach to improve individual skill sets such as footwork, dribbling, shooting, team concepts and more. Our teams practice multiple times each week, in our own gyms!, and our coaches work with players both individually and in team play. When you pick an AAU program, it’s important that you understand what you are getting you and your child into. In some programs, the “club” is the top priority, not the kids. In City Hoops, the kids and their development is always a top priority. So don’t be fooled. Don’t become one of the many who invest time and money after being told that their child is on a roster, only to find out later that the roster has changed and the spot is gone. We will never treat a player or parent that way. When you try out for City Hoops and are offered a roster spot, that spot is yours. Coaching matters and all programs know this. Some AAU programs will assign coaches to two different teams and do a bait ’n switch by replacing the experienced coach with another once the players are “recruited.” City Hoops assigns experienced coaches to all teams. AAU basketball exposure: College basketball programs select the top 2% of high school varsity players to play at their universities across the country. Most college coaches find AAU basketball circuits an easier way to view multiple players against better competition. For 14- to 17-year-old players, being at the right tournaments with the right fit for a basketball team can be an important step in catching the eye of a college basketball coach. 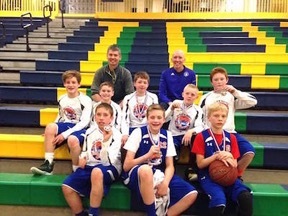 The intent of the Wisconsin City Hoops basketball program is to create teams that give our young players the opportunity to both play with and against good players, making new friends along the way. We surround our players with coaches who are not afraid to coach your kids and are willing to teach accountability in addition to skills. At a young age, players need to be pushed, but their development is not all about winning; they need to be taught the game and have fun learning to enjoy the competition (something we are very aware of with our players). There is no greater joy and source of pride than working hard and improving while knowing you are achieving your personal best in a demanding environment. This builds self-esteem and confidence in young players. We strive to teach young players to immerse themselves in the process of improvement, and through this hard work, your child will find value and joy in it. That is a life skill, and they'll become a better basketball players along the way. We believe in the “who's next to you” philosophy: who's coaching you, who’s training you, who’d encouraging you and who’s pushing you? Playing in weekend tournaments doesn't take the place of shooting 1,000 shots or being challenged, taught and pushed. Practice and training environments are just as important as playing in tournaments. And that’s why having our own gyms is so key. Our teams spend a lot of time practicing. Tournament play is the end product of what your hard work gets you and just one phase of developing young players.